A Panini press has many surprising uses. 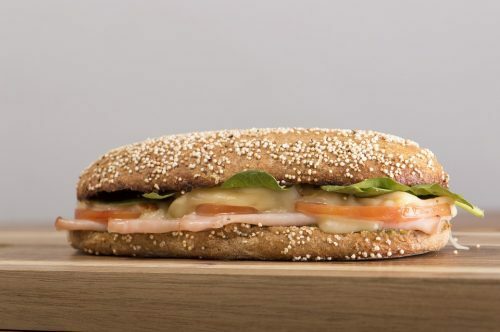 It can make amazing sandwiches but can also do so much more than that. It is such a versatile machine, and can be your best friend for feeding your family on a weeknight. Let’s look at some surprising things you can cook quickly and easily using a Panini press. Sometimes getting out of the door for work or school in the morning can be tough. If you are looking for a quick way to make breakfast, this great idea can help you. 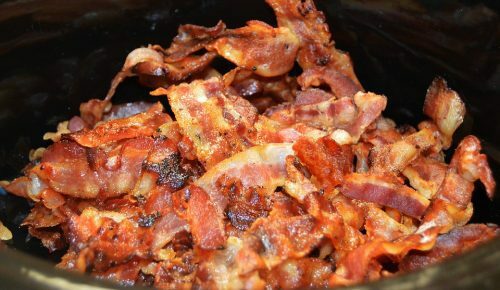 You can have flavorful and crispy bacon after you put it in your Panini press for just a few minutes. You can cook your hash browns on your Panini press after the bacon to add some great flavor to usually kind of bland potatoes. If you place some frozen cinnamon rolls on your press, you can have a quick breakfast that no kid can resist in just a matter of minutes with no extra work. Lunch is the peak time of day for heat in your house, and also a busy time of day due to work. If you are at home during this time, you might want to consider using your Panini press and making something healthy and filling. If you are in for a busy afternoon or don’t want to heat up your house by running the oven on a hot day consider making a pizza or even warming up some that you have left over from another meal. If you have some leftover meat, cheese, and veggies that you can use for lunch then make a warm and deliciously melty quesadilla with your Panini press. If you are in need a quick dinner after a long day of work or have activities to get to after work a Panini press can help you get an amazing and healthy dinner on the table within minutes. To make a proper dinner that is filling and nutritious you need to start with some protein filled the main dish and that normally includes some meat. Here are some great meats that you can cook on your press. Chicken, shrimp or hamburgers can all be cooked on a Panini press, and be cooked to your liking within a matter of minutes. If you are looking for something different, grilled salmon dinner might be what you are looking for. After preparing your main course quickly, you will need a side dish to go with it. Let’s look at a few quick and delicious side dishes to go with it. After baking and seasoning your potatoes, you can finish the cooking process on your Panini press. If you are looking for a nutritious option without a lot of work you can pre-cut veggies and heat them up when you need them. Add new life to limp and soggy leftover fries. After putting them on your Panini press for just a few minutes, they will be delicious and crispy again. Grill some peaches and pair them with some vanilla ice cream for a healthy, cool and refreshing dessert. 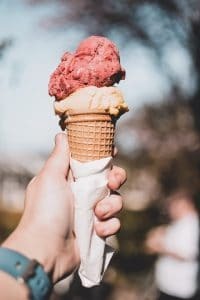 If you are looking for a refreshing ice cream treat, and don’t want the peaches mentioned in the last idea you can make a great, homemade waffle cone. All you need to do is mix up a batter and place it onto your Panini press, and you can make a delicious, homemade ice cream cone. Another great dessert you can make with ice cream is ice cream sandwiches. Place frozen cookies onto your Panini press until baked completely. Then you will want to add a scoop of ice cream, and sprinkles on it. Put another cookie on the top, and you will have a dessert that will put a smile onto any kid’s face. Look no further than your Panini press if you want to cook something quick and easy. You can have deliciously healthy food any time of day with minimal work. It is a must-have tool in the kitchen. Have fun now that you know that a Panini press has many surprising uses.